Each year tens of million of migratory birds “overwinter” in the Canadian Boreal forest, a vast tract of mostly uninhabited coniferous woodlands and wetlands stretching from Newfoundland to the Yukon. The area makes up some 60 percent of Canada’s total land mass, and serves as the winter home for more than half of America’s avian population. But environmentalists are worried about the impact of increasing “tar sands” oil development there and the impact it might have on wildlife populations continent-wide. Tar sands are a mixture of sand, clay, water and a dense and viscous tar-like form of petroleum called bitumen. The bitumen is extracted from the tar sands mixture and eventually refined into transportation fuel like gasoline. The extraction process is especially “carbon-intensive” and generates some of the dirtiest fuel around, but its abundance makes it affordable as long as industry keeps turning up new sources. 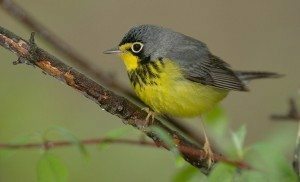 A recently released report by the National Wildlife Federation (NWF) and the Natural Resources Council of Maine (NRCM) concluded that almost half of the 292 different migratory bird species that overwinter in Canada’s Boreal forest—as many as 75 million birds—are threatened by future tar sands development. Further, they say, bird losses in the hundreds of thousands have already taken place as a result of overzealous and under-regulated oil development there to date. The result can be birds drowning, dying from hypothermia or otherwise suffering from the ingestion of toxins. “Toxins from the tailings ponds and other pollutants from tar sands operations leak millions of gallons of toxic liquid waste into wetlands and forests each day, further contaminating habitat,” the groups add. Tar sands development also contributes disproportionately to climate change. U.S. State Department analysis shows that tar sands oil is 20 percent more carbon pollution intensive than conventional oil on a “well-to-wheel” basis. The effects of global warming on Canada’s Boreal forest are likely to include shifting food supplies, increasing numbers of damaging wildfires in forests, more droughts in wetlands and potentially dramatic changes in vegetation and the relationships between predators and prey. Environmentalists would like to see U.S. lawmakers deny permits for the transport of Canadian Boreal tar sands oil—most of which is extracted in land-locked regions—through the U.S. in hopes of making future tar sands projects there too expensive to be worthwhile. “Saying no to tar sands is a critical pillar in an effective strategy to protect wildlife from carbon pollution,” says NWF. Furthermore, given Americans’ growing desire to get away from costly and polluting foreign oil, it makes sense to pass on adding dirty tar sands oil to the mix. But it remains to be seen if the Obama administration will allow construction of the controversial Keystone XL pipeline to transport the oil from Canada through the U.S. The welfare of millions of birds—and, indeed, our energy future—is at stake. 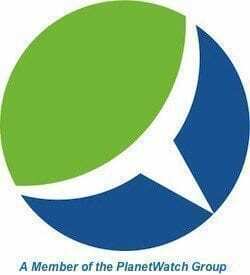 CONTACTS: NWF, ; NRCM, .